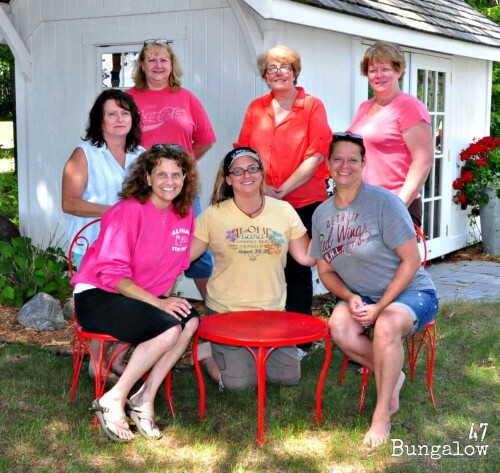 Recently we had the opportunity to hold a ‘retailer training retreat’ at the summer cottage. There’s nothing like planning, learning and working while staring at a lake. After all the laughing we did, we brought the paint out and began to work. 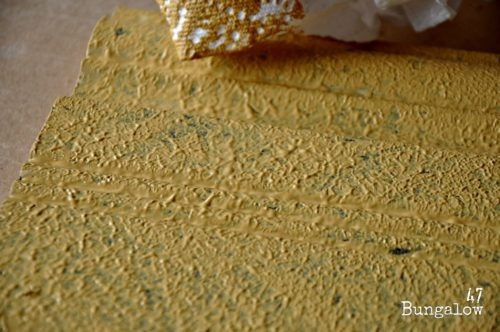 Our favorite technique to share and teach is one that looks very difficult, and in the past, has been an advanced process for paint artists requiring many different products. 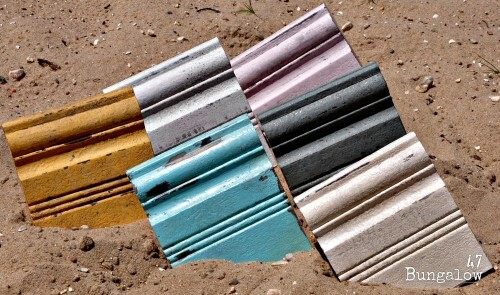 But now, can be achieved with just one product, any chalk/clay/mineral paint! It’s what we call a “Textured Clay Finish”. 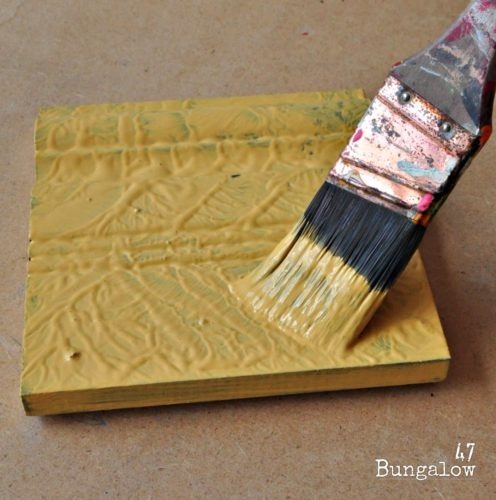 Step 1: Apply a heavy coat of paint and let dry slightly. On this sample, a dark color was first used to simulate how an actual piece of old furniture would have a stain color already on it. 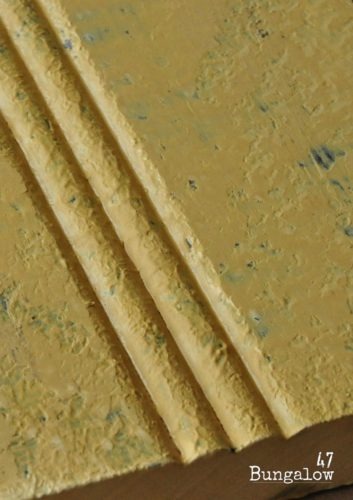 It is best to apply this technique over an existing finish. 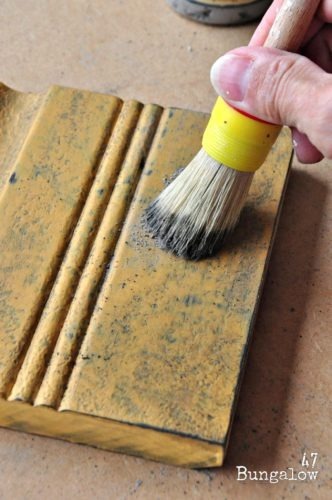 Step 2: Wad up some paper towel and pounce onto the wet paint surface, pressing into the paint and pulling back up to leave small stipple like bumps. If you are working on a piece of furniture, work on one full side at a time for even texture. After creating textured bumps, let dry completely. As your piece is drying work on the other sides. 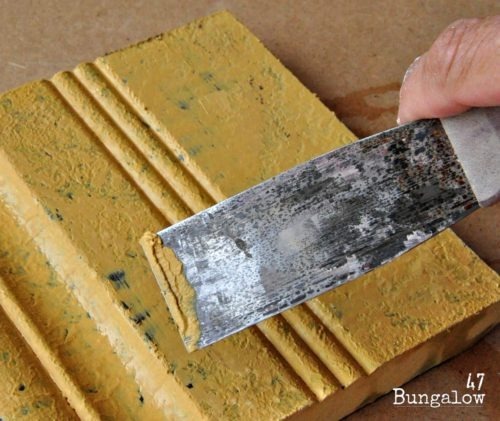 Step 3: Using a damp (but wrung out) sea sponge, saturate the dry paint to soften it. 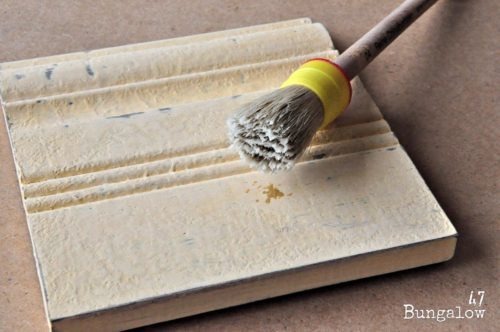 Step 4: Holding the trowel flat, drag it back along the moistened paint to flatten the stipple bumps. You’ll find that it is now like a clay consistency. Continue to manipulate the entire surface. If you pull too much off, simply reapply the clay with your finger. 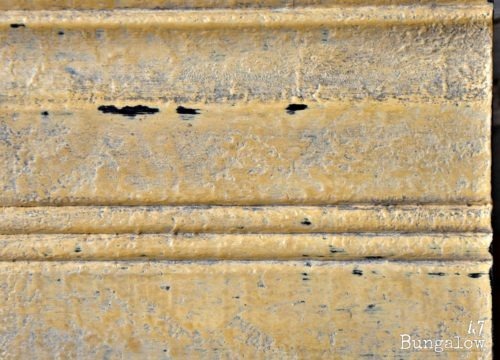 Adding this back to the surface, creates that authentic ‘over the years, time worn’ look. 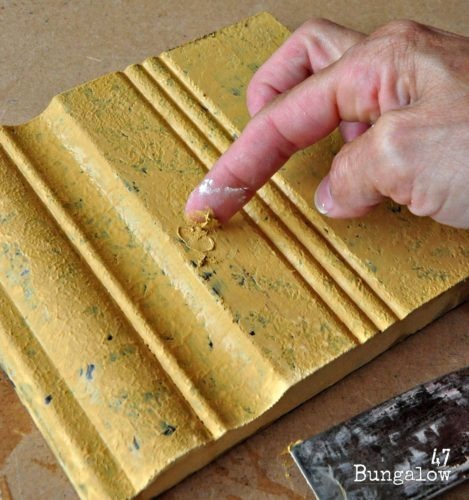 Using your finger, smooth out any bumps that cannot be done with the trowel. Be careful not to leave your tool marks. You should now have quite a bit of texture. 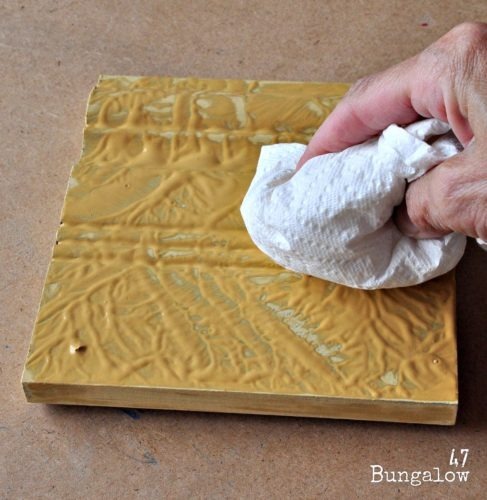 Step 5: After your piece dries completely, wax it using a Clear Wax and finish with a ground pumice aging product. 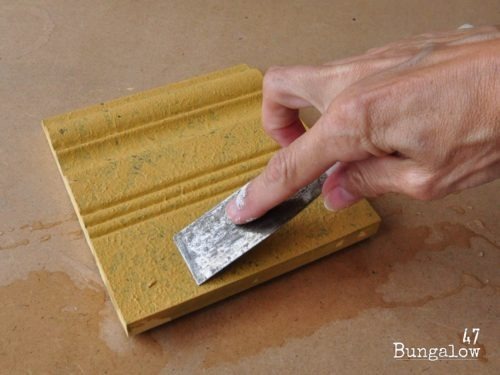 Step 6: Apply the ground pumice or aging dust into the damp wax, working it into the crevices. Step 7: Buff the finished piece with a rag or towel. What do you think? Isn’t ‘Textured Clay Finish’ cool? LOVED learning how to do this finish! 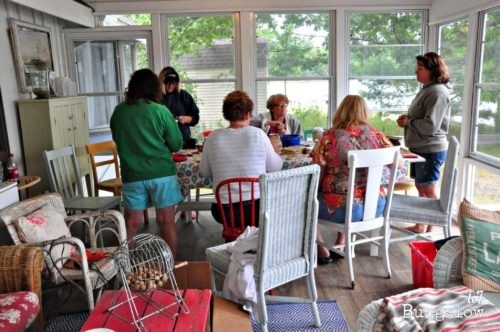 We had such a great time up at the lake for the retreat ~ can’t wait to start playing around with this fabulous technique!! Thank you so much for sharing this technique with us. 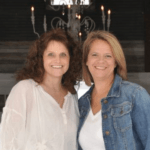 Can’t wait to try this out….maybe a few different colors all layered up.